Suspected assassins who allegedly attacked Senator Dino Melaye's home, or those who accused him of giving them guns, have reportedly escaped from prison. 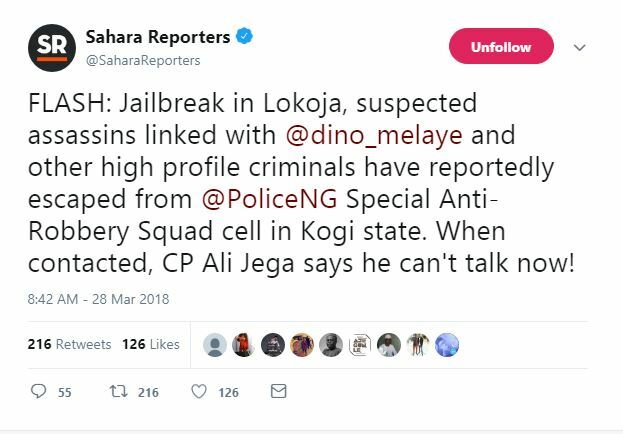 It was gathered that other high profile criminals also escaped from the Special Anti-Robbery Squad (SARS) cell in Kogi state. 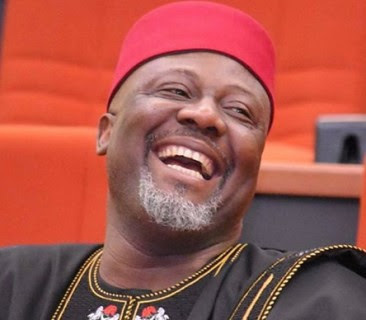 This development is coming a day after senator Dino Melaye raised alarm in the Senate over several attempts made on his life. According to SR, the assassins were arrested by the Nigerian police force a few months ago after they attacked Melaye’s country home in Kogi, shooting sporadically at his home and vehicles.